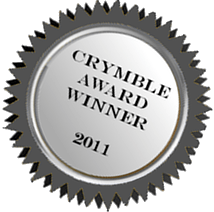 Nature’s Past, the Canadian environmental history podcast that I produce, was recently awarded a 2011 Crymble Award. Digital history scholar and doctoral candidate, Adam Crymble, just posted his list of digital projects that have most influenced his own work in 2011. Readers should check it out to get a good run-down of some very interesting work (including Nature’s Past!). I am very honoured to have made the list this year and I hope to make it on the list again next year, if possible. For those of you unfamiliar with his work, Adam blogs at “Thoughts on Public & Digital History” and you can follow him on Twitter @Adam_Crymble. He is known for a number of digital projects, including his work with the Network in Canadian History and Environment and his successful digital publications, The Programming Historian (co-authored with William Turkel and Alan MacEachern) and How to Write a Zotero Translator: A Practical Beginners Guide for Humanists.